How many more German intelligence officers are actually Islamic terrorists? Good thing they caught this one before he could carry out his plot. German intelligence officer has reportedly been arrested over a suspected Islamist plot to bomb the agency’s headquarters in Cologne. The 51-year-old official was said to have made a “partial confession” to the plot, according to Der Spiegel. 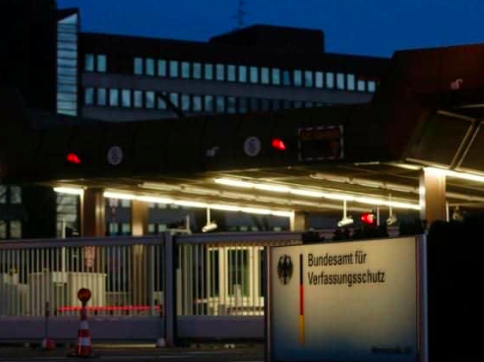 The suspect attempted to pass on “sensitive information about the BfV (Germany’s domestic security agency), which could lead to a threat to the office”, an official told the newspaper. “He is accused of making Islamist remarks online under a false name, and offering internal information during chats,” a BfV spokesman said. The BfV said the man “behaved inconspicuously” prior to his arrest. He had, since April, been engaged in gathering intelligence on Islamist extremists in Germany, Der Spiegel said. Online chats were apparently found between the suspect and other Islamists in which he attempted to recruit them to the intelligence agency to mount an attack on “non-believers”, carrying out a bomb attack on the spy HQ “in the name of Allah”. He used several different names online and his activities were uncovered about a month ago. The man’s family reportedly knew nothing of his conversion to Islam two years ago and subsequent radicalisation. The suspect was thought to have pledged allegiance to Mohamed Mahmoud, the Austrian leader of the Islamic State of Iraq and the Levant terrorist group. Germany is on high alert following several terror attacks over the summer. The BfV estimates there are about 40,000 Islamists in Germany, including 9,200 ultra-conservative Islamists known as Salafists, Hans-Georg Maassen, who leads the agency, told Reuters in an interview earlier this month. “We remain a target of Islamic terrorism and we have to assume that Islamic State or other terrorist organisations will carry out an attack in Germany if they can,” he said at the time. Isil claimed two attacks in late July – on a train near Wuerzburg and on a music festival in Ansbach – in which asylum-seekers wounded 20 people in total. In addition, security forces had to respond to an attack in a shopping centre in the city of Munich in which nine people were killed by an 18-year-old German-Iranian who had been in psychiatric treatment and was obsessed with mass killings.